Thinking of what to give to your special someone this Valentine’s Day? Want something that is sure to make his or her heart flutter that is anything but the usual? 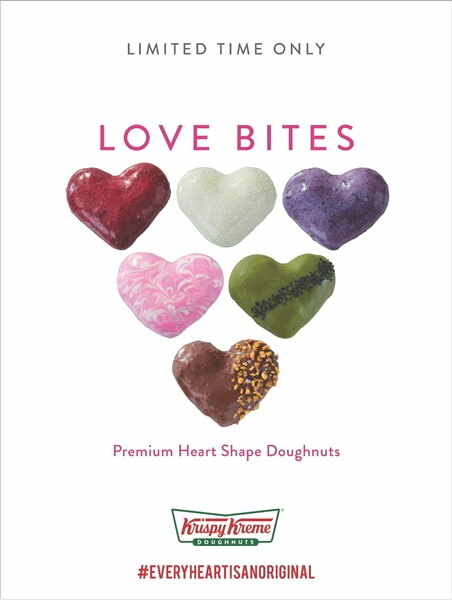 Look no further with Krispy Kreme’s Premium Heart Shape doughnuts! 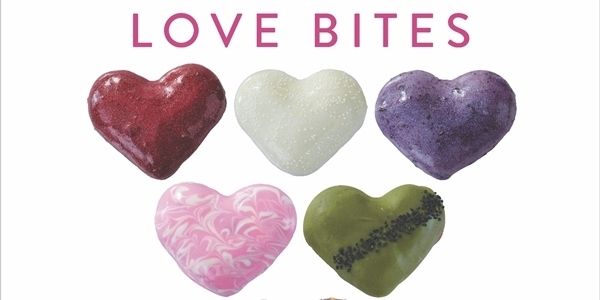 Available in six luscious, velvet flavors: Dark, Red, Pink, White, Purple, and Green, each one is sure to tickle not only your loved ones’ taste buds but also their hearts. Enjoy these Velvet Doughnuts filled with much-loved vanilla cream with sweet, colorful toppings for only PHP55 a piece. Mix and match to create a Box of 3 for PHP162, Box of 6 for PHP266, or a Dozen for PHP575. 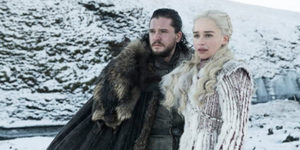 Feeling extra romantic? Upgrade your Box of 6 to a Krispy Kreme tin can which comes with a card by adding only PHP99. Available until February 17 only. 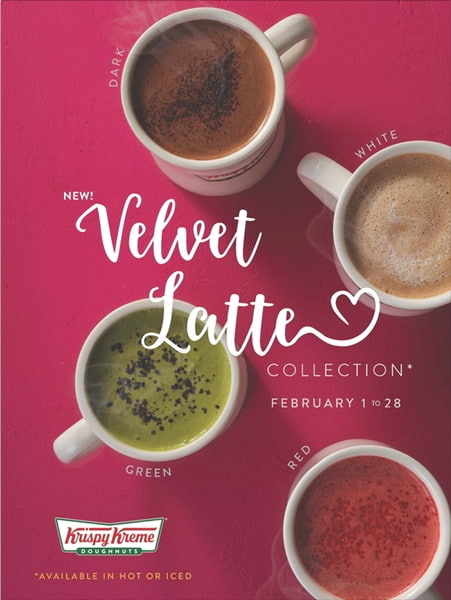 Krispy Kreme also invites everyone to indulge in its Velvet Latte collection that comes in Dark, White, and Red and Green. Make moments sweeter with every sip of this heavenly drink which can be enjoyed either hot or iced for only PHP143 with one ﻿Original Glazed® Doughnut this entire month of love. Treat every heart as an original this Valentine’s Day. Hurry to your nearest Krispy Kreme store to get the limited edition Velvet Doughnuts and Velvet Latte collection. You can also order through GrabFood, online at now.krispykreme.com.ph, or call 7-9000!